The Cottonwood is a beautiful split three bedroom, two and a half bathroom home design. The master bathroom includes his and her vanities, a walk-in closet, a soaking tub and a separate walk-in shower. The kitchen has tons of storage and counter space and includes a center island that opens up to a catherdral ceiling in the living room where there is a cozy corner fireplace. 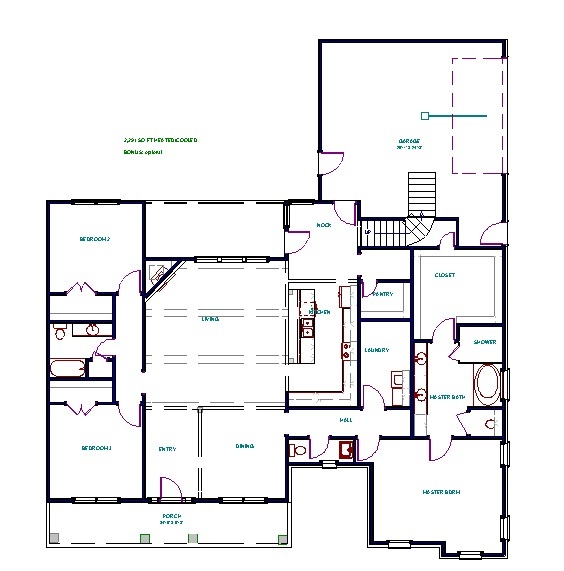 This design also includes a large formal dining room area and a breakfast nook. The Cottonwood has a large covered front and rear porch with a two car garage. H and C 2,291 SQ FT. Optional bonus room.